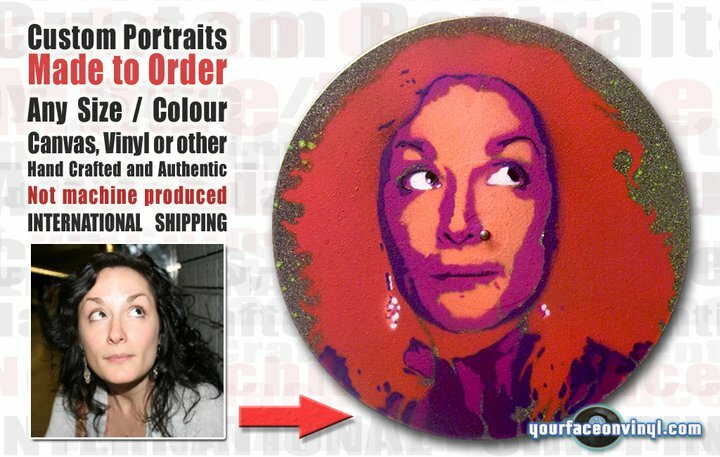 Photos of example stencil art orders, pictures of stencil art work made from photos. 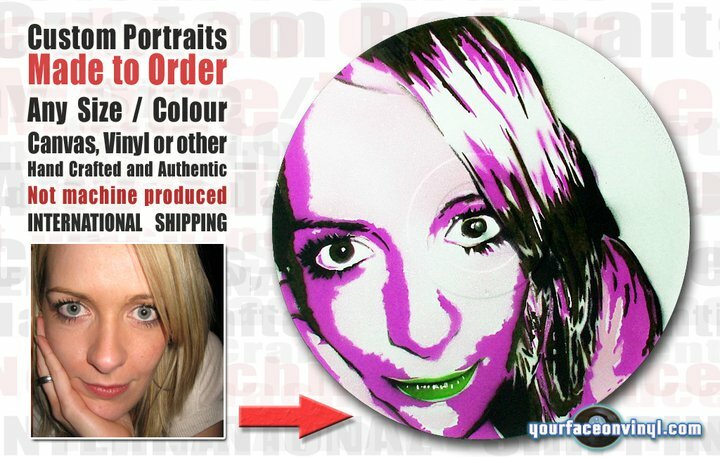 Photos were sent in by previous customers who have ordered unique stencil gift art from your face on vinyl for a various reason of occasions; wedding, birthday, anniversary, graduation, house warming, Christmas… You can see the before pre photo that was sent in via e-mail and the post picture photos, results of the artwork completed. 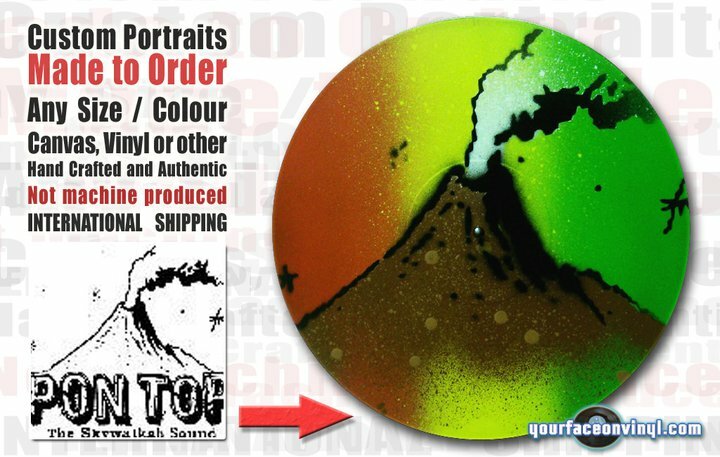 All art made using high quality spray paint and stencils with a professional lacquer finish by our stencil artist. For more information check out are process guide. 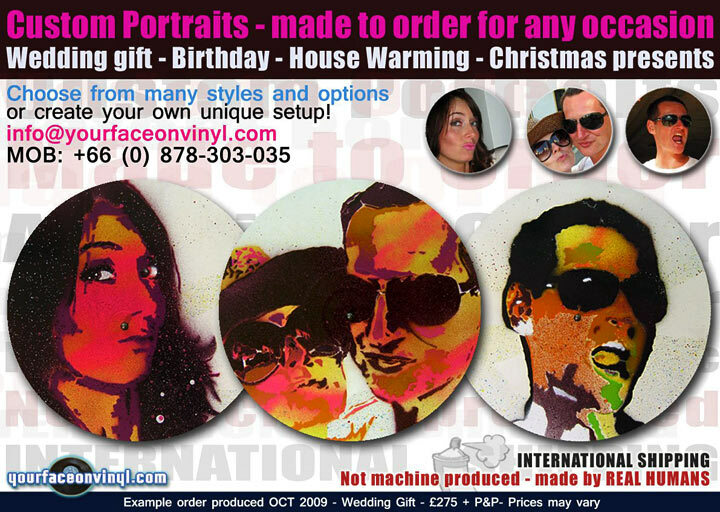 To order your very own custom stencil gift art made from pictures or photos order now by clicking here! Your face on vinyl started producing bespoke art since 2006 and since then has pleased hundreds of people by producing unique quality portrait art from your photos. International shipping available! 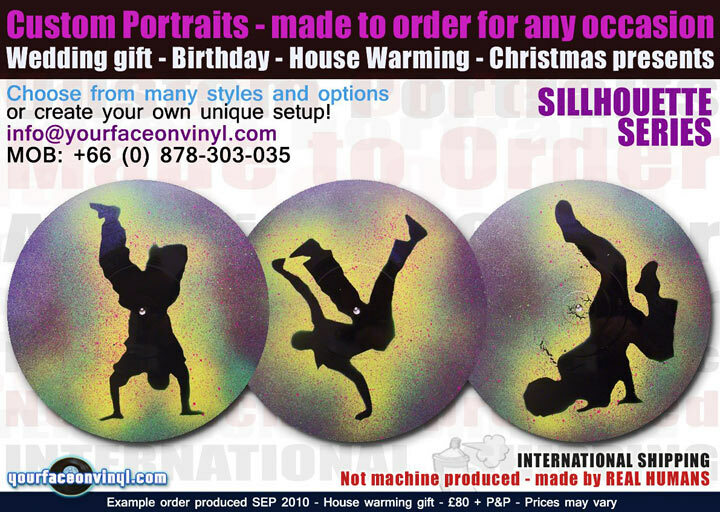 In 2013 your face on vinyl is still going strong!! 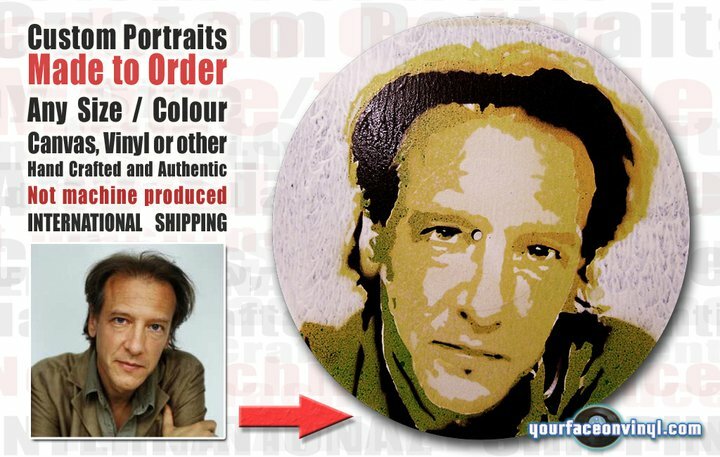 Order your very own art made from photos now! Click here! 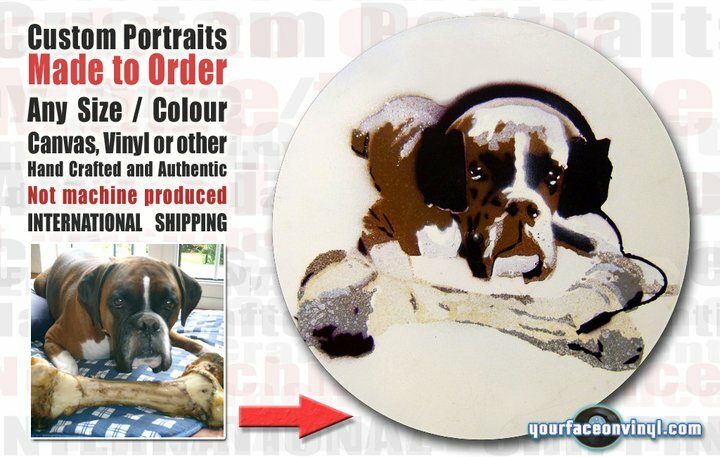 Also you may find more up to date pictures and photos by visiting our Blog home page where we explain and write about some of the best portrait art gift orders we have completed, selected to present and write about. 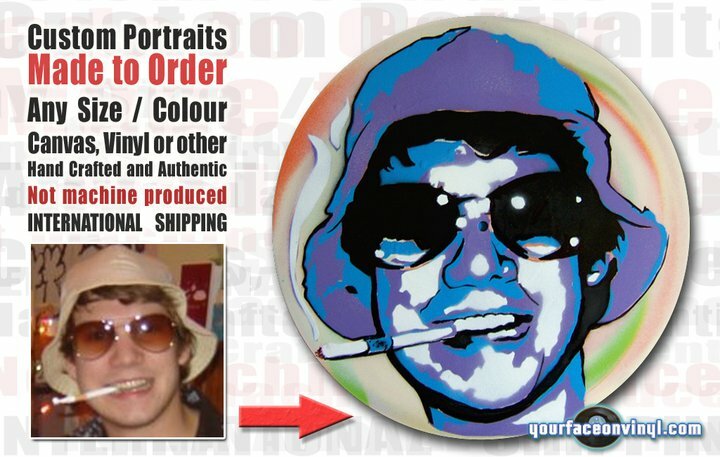 Each order is unique, if you would like more information about the order process visit this page if you have any more questions about how our stencil artists complete these order from your photos or questions regarding the order process you might want to visit this page FAQ – frequently asked questions if you still cannot find what you are looking for why not send us an e-mail or get in touch with our artist through social media. 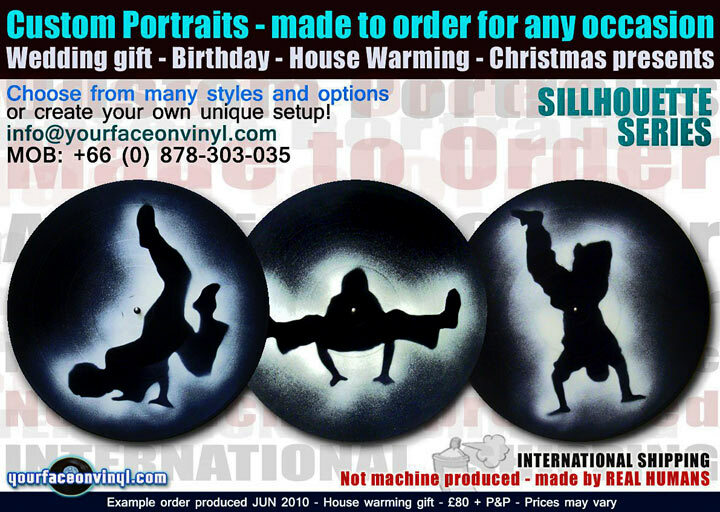 We are always happy to talk to our customers about any job concerning creating the ultimate stencil art gift. We also do other forms of stenciling work you may find out more about this by requesting a quote for your proposed job. 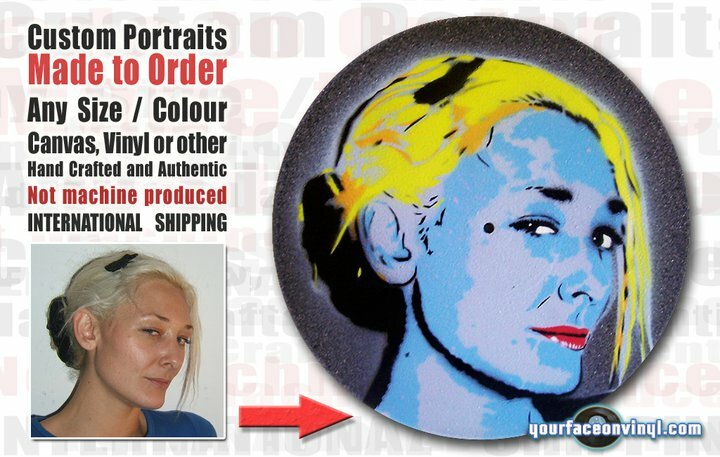 Lastly if you are interested in how we make the portrait artworks you can see in the pictures and photos above you might want to visit our technique page which explains the process of creating stencil portraits on canvas and vinyl. Thanks for checking out your face on vinyl!